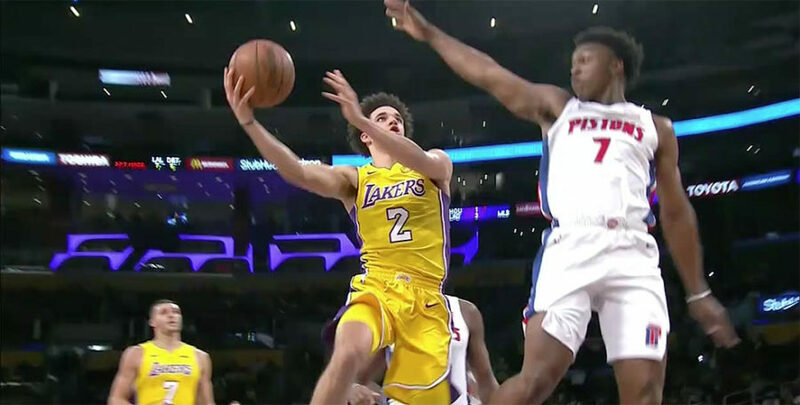 The statistical numbers for Ball were modest after the rookie finished with 13 points on 6 of 13 shooting to go with six rebounds, three assists and two blocks, but Walton credited his young aggressive point guard for setting the tone. “Take away the Phoenix game, this is the best game he’s played I thought,” Walton told reporters. “The way that his pace was, the way he pushed the ball all the time. Forward Julius Randle, who is fast becoming an impact player off the bench this season for the Lakers, had scored 17 points and seven rebounds, while rookie Kyle Kuzma, who also came off the bench, finished with 16 points, including 10 points in the second quarter. Larry Nance Jr. grabbed his third double-double for the Lakers with 14 points and 12 rebounds, while Brandon Ingram had 13 points, six assists, five rebounds and four steals in the win for the Lakers (3-4), who snapped a two-game losing streak. Kentavious Caldwell-Pope scored 13 points and Jordan Clarkson chipped in with 10 for Los Angeles, which improved to 14-4 against Detroit at Staples Center. “I don’t think we’re going to play that great every night,” added Walton said. Tobias Harris and Reggie Jackson each had 18 points for the Pistons, while Andre Drummond ended with 10 points and 12 rebounds in the defeat. Detroit (5-3) had won three in a row entering this one, but fell short of sweeping their three-game California road trip, following wins over the Clippers and the Warriors. “They dominated us,” Pistons coach Stan Van Gundy said. “Their energy, they were better at both ends, they played harder, and they played sharper. Van Gundy admitted: “They played extremely hard and extremely well, and I want to make sure it’s clear that I‘m giving them a lot of credit and not just talking about how bad we played. The Detroit Pistons and the Los Angeles Lakers official pages.